Great week to stock up on household items! Through 5/26, head to CVS where you can pick up Scott Bath Tissue, Paper Towels & all Detergent for just $2.66 each (regular up to $10.99). 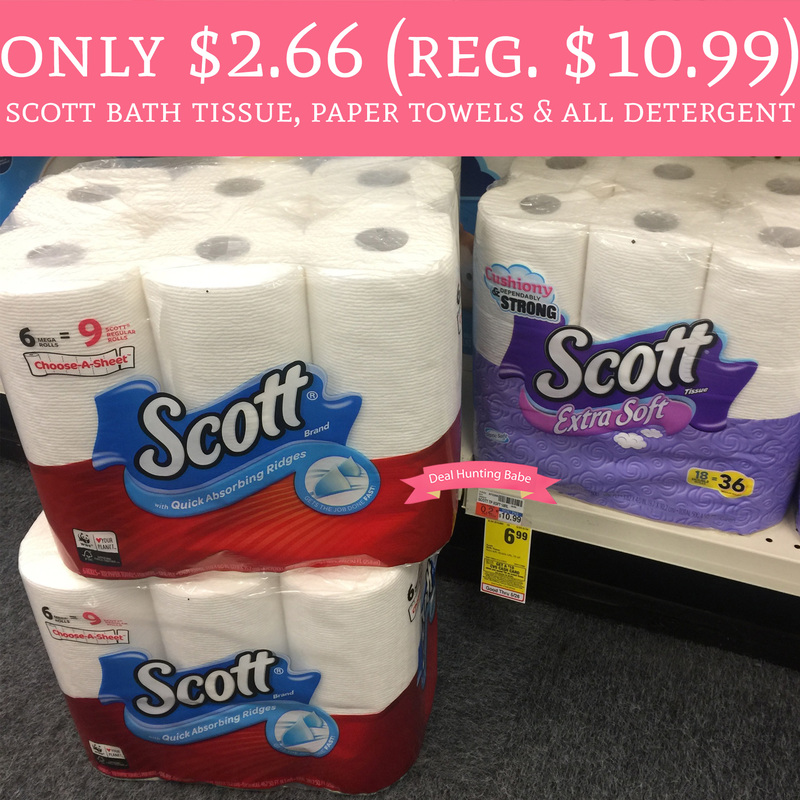 The Scott Bath Tissue is currently priced at $6.99, Scott Paper Towels at $5.49 and all Detergent at $2.99. Plus, when you spend $30 on participating items you will receive a $10 CVS Cash Card. We also have a couple coupons to stack to make this is a nice stock up price! Final price $15.94 or $2.66 each! !